A good starting point to establish your dog’s calories needs is to determine the total calories they are currently getting each day in the form of food and treats. Then determine their body condition score (BCS) and muscle condition score (MCS) to evaluate whether your dog needs the same (maintenance), or more or less calories each day. You should work with your veterinarian to determine your dog’s BCS and MCS and his/her ideal weight. There are three commonly used terms for measurements of daily energy needs. The calculation of the MER or DER is based increasing Resting energy requirement (RER) to account for daily activity, work, growth, gestation, or lactation. All the equations used to determine energy/calories needs use the animal’s ideal body weight in kilograms. The resting energy requirement (RER) of dogs, cats, and other mammals may be predicted using the equation for RER noted below. THE CANINE DAILY CALORIE ESTIMATOR will do all the math to convert lbs to kg, and calculate the RER and MER. The RER equation listed above is considered accurate at any weight. A second popular simple equation is often used: 30 x (BW kg) + 70. This equation can be used for animals weighting between 2 - 25 kg (4.4 lbs - 55 lbs), “but note that the second equation is not as accurate as the first equation as it will overestimate the caloric needs of patients weighing either < 2kg or > 25 kg.”  (4.4 lbs - 55 lbs) This second equation is not used by the Canine Daily Calorie Estimator for this reason. After determining the RER the calculations for determining the MER & DER are only estimates and should only be used as a general guideline. 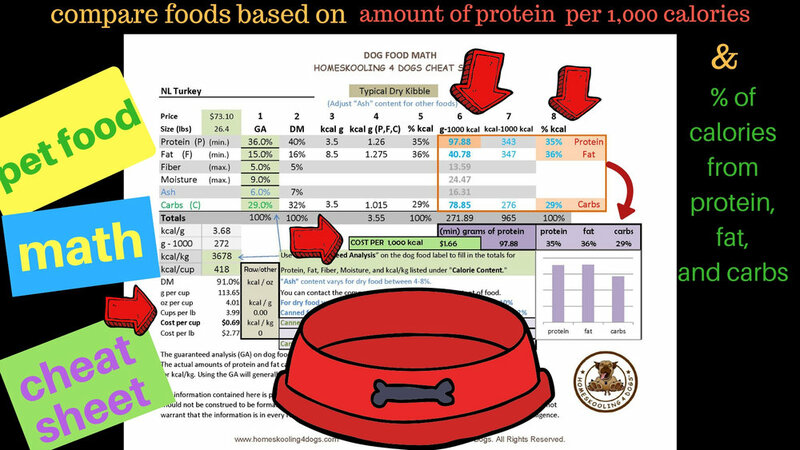 The Canine Daily Calorie Estimator calculates all the common formulas for differing ages and life stages with the exception of gestation and lactation. Use the Canine Daily Calorie Estimator to track your dog’s weight, body condition score (BCS), and weight loss goals. Applied Veterinary Clinical Nutrition, Wiley. The information contained here is provided for general reference and informational purposes only. Any information provided should not be construed to be formal professional advice or professional veterinary advice. Homeskooling 4 Dogs LLC does not warrant that the information is in every respect accurate. You are encouraged to conduct your own research and due diligence.